Are you looking forward to a wonderful sailing vacation in St Vincent and the Grenadines? Why not go for St Vincent and the Grenadines cruise charter? Picturesque landscapes with sprawling ocean waters that reflect the blue sky perfectly, this is what you will witness once you anchor here. Avail yacht chartering in St Vincent and the Grenadines to fulfil your wish of cruising in style. The 32 islands and cays making up St Vincent and the Grenadines are like mini tropical paradises apt as sailing destinations. Spreading across 389 km2 in the turquoise waters of Caribbean, these Windward Islands house a population of just over 100,000. Most of this island nation remains uninhabited till date, which accounts for its other name “Hairoun”; meaning “Home of the Blessed”. The aboriginal Carib Indians called it by this term because of the thick, lush rainforests that cover most of this island nation. Then comes a wee bit ‘o geography! The Grenadines stretch for 45 miles to the south from the main island and are a water sports hotspot. Dive into the coral reefs around Tobago Cays and Bequia, and swing alongside sea turtles and colourful fishes. The main island is a centre for a variety of festivals. The Vincy Mas which features lively Calypso music takes place between June and July. Delight yourself with local cuisines cooked up in the Breadfruit Festival. Tourist influx peaks during the dry seasons of Dec to April. Here, the largest island becomes home to Kingstown, and the small island chains offer you exclusive solitary locations where you can witness stunning reefs along with volcanic landscapes. Lush rainforests, white sand beaches and illuminating reefs prove perfect for expeditions. Here, you can truly relax and have some ‘me’ time. The nearest island is Bequia, and it is popular for its vibrant reefs. This place is also known as the “critter capital” of the Caribbean as you get to observe a lot of diverse marine species. The Atlantic, as well as Caribbean currents, bring them along making up for an interactive environment. 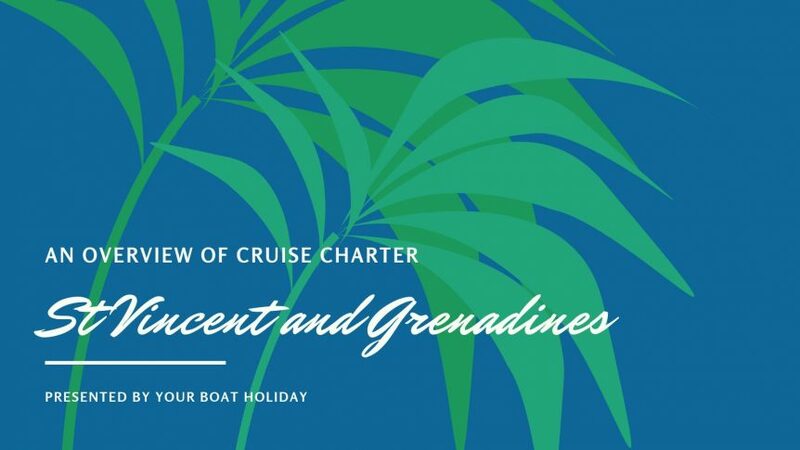 With a crewed St Vincent and the Grenadines cruise charter; you can enjoy your voyage in complete leisure, as services are available as per your wish. However, with a bareboat charter, you can test your mettle by putting your sailing experience to use. Motor yachts are also another great choice when it comes to yacht chartering in St Vincent and the Grenadines owing to its speed. Blue Lagoon, Mustique, Bequia, Tobago Cays are the best spots to hit while you are here. When sailing between these islands, with your beloved on your side or your family, you may also catch a sight of some of the six kinds of Dolphins or the Orcas or pilot whales that inhabit these waters. Intrigued? Wait no more and get your Caribbean boat charter mode on!